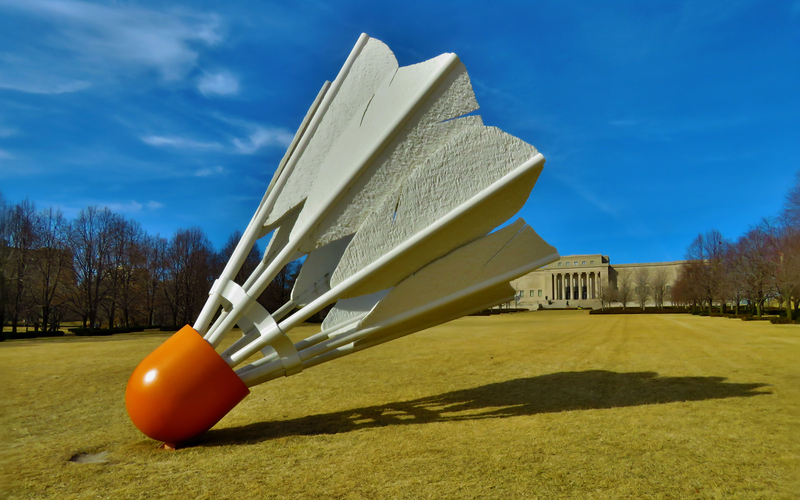 We went to the Nelson-Atkins Museum of Art in Kansas City and were quite impressed. The general museum is free and photography is permitted, two big pluses. We ended up getting the student discount to the two visiting shows, because the woman at the info desk thought that she had been too awkward with us. That was news to us, because the people of KC have been universally polite. The visiting shows are “Through the Eyes of Picasso” and “Dreams of the Kings – A Jade Suit for Eternity”. I’ll likely devote separate, future post to each show. The museum has its original wing from the 1930s and a new wing that is only ten years old. I wonder if this new wing precipitated the even newer wing at the Saint Louis Art Museum? The contemporary collection is in the new wing and the older museum houses more traditional schools of art. The new wing is one long cascade of galleries, while the older museum has two floors. The first floor is dedicated to European art and the second floor is for the rest of the world, including the US. Surrounding both wings is a huge expanse of grounds that is populated with many outdoor artworks. The museum’s iconic “Shuttlecocks” are scattered around the grounds and one is pictured above. After a delightfully artful day, we headed over to the neighboring plaza area. This historic shopping district with a Mexican motif was rocking. We grabbed some KC barbecue at Jack Stack’s. People were spilling out onto the street when we left. It had turned cold, when we left, so we just boogied back to the hotel. This entry was posted in Art, Photography by RegenAxe. Bookmark the permalink. Sounds like a good time in Kansas City! Oh, yeah! And everything is up to date too. Love this excellent photo. It sounds like you’re really enjoying yourself. Have a great Trip! Did you go through the glass maze? So disorienting.